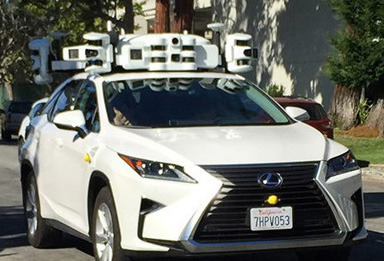 Apple's experimentation with autonomous car technology is likely to veer away from creating a simple platform and back towards a fully self-designed vehicle, one analyst argues. "Apple is investing in autonomous driving as 'the mother of all AI projects' but has not yet committed to a car," said Guggenheim's Robert Cirha in a report obtained by AppleInsider. "Yet we see its entire business model based on vertically- integrated control, so think it unlikely Apple sells modular AI to third-parties. We rather expect Apple to get all-in or all-out over the next 2 yrs., and are thinking all-in given the draw of technology disruption and sheer size of TAM [total addressable market]." Apple was believed to have been working on its own car in 2015, but switched directions in late 2016, focusing on a platform instead. The company has been rumored as pursuing the ridehailing market, possibly in partnership with firms like China's Didi Chuxing. Returning to a full-fledged vehicle would satisfy Apple's usual desire to control its ecosystem, but pose other obstacles. While it has tapped a number of experts, for example, as a business it's still new to car design and would have to compete not just against EV specialists like Tesla but every established automaker. It would also have to find partners anyway, since it doesn't have any manufacturing capacity. It would moreover have to adjust to much longer upgrade cycles, and expand its support infrastructure. Automakers often provide parts and support for vehicles for decades, whereas Apple declares Macs and other electronics "obsolete" after just seven years.